After a long day of driving from Memphis on our epic 60-day family road trip, we were relieved to arrive at the Best Western Plus Austin City Hotel. We were arriving into town later than we thought, hungry and tired. Reminiscent of a boutique style hotel, the lobby was bright, modern and welcoming. However, what really gave us a thrill upon check-in was seeing that there was an onsite restaurant that was still open. We checked into The Best Western Austin, TX with a cold beer in our hands and warm food in our bellies, ready to kick off our weekend in the city of Austin with the right attitude. Here is a little about our stay at the Austin City Hotel. 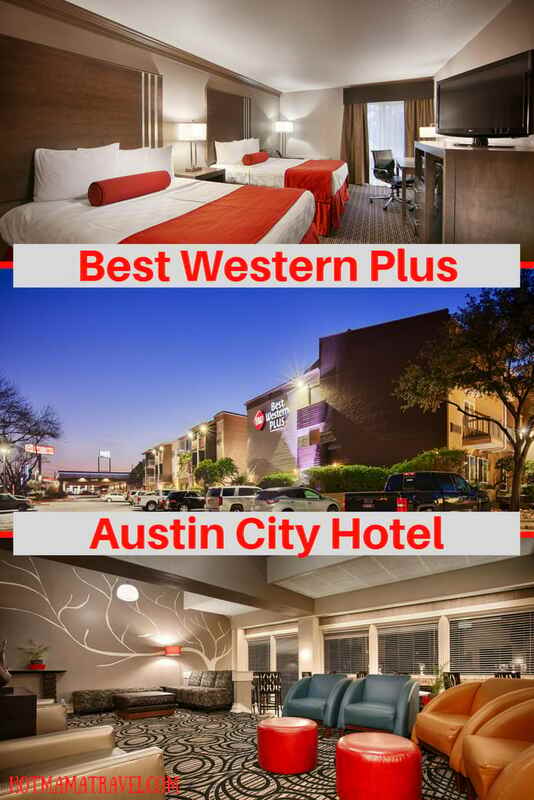 The Best Western Plus in Austin is conveniently located in the historic neighborhood of Travis Heights, just a few minutes from most Austin attractions and neighborhoods. Popular Downtown Austin district such as SOCO South Congress District, Rainey Street, 6th street and Lady Bird Lake are easily accessible from the Best Western Austin, making it well-situated for maximizing your time in Austin. Check rates. Whether you call it SOCO or South Congress District, both locals as well as visitors agree that this is a lively cultural district worth spending some time exploring. The colorful street is sprinkled with mural art, eclectic shops, restaurants and food trucks as well as music and art venues. Known as the gateway to the capital city, views of the Capital Building can be seen gracefully rising from the end of the street. The great thing is the Best Western Plus Austin City Hotel is less than a mile from all the fun. 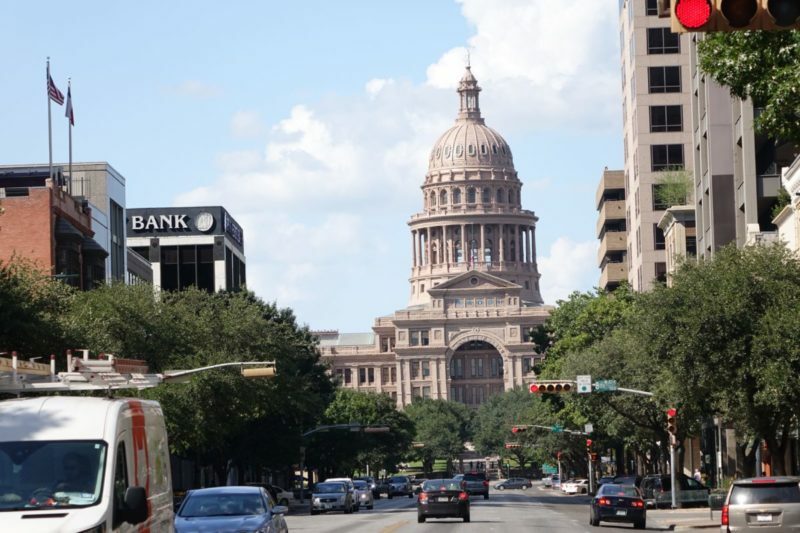 Right in the core of Downtown Austin, 6th Street is a historic district that is well known for the number of entertainment venues, bars and clubs. For those, like us, who love live music, this is the street to visit. Just walking down the street you can hear the tunes of live music pouring out of from almost every building. 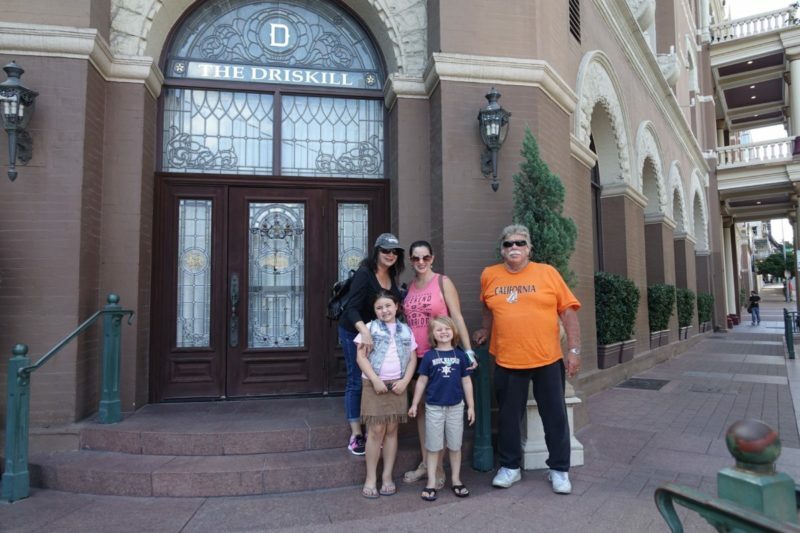 Although many places are for a 21 and over crowd, afternoon and mornings offer family-friendly spots to have a meal, a drink and enjoy some live music like the famous and historical Driskill Hotel lounge. Once a tucked away street, Rainey Street is gaining in popularity as more historic homes that date back before the 1930’s are being renovated into hip bungalow bars. It is no longer a secret hideout for locals. However, it has still maintained a very casual vibe that people love day or night. Now, let me tell you more about the Best Western Austin City. You could tell immediately upon arrival it is a chic city hotel. It has spacious modern décor, electric car charging stations and artistic photos of Austin gracing the walls. Check Prices. The hotel, which is also 100 percent smoke-free, smelled fresh and clean. Although, the haunting aroma of coffee did fill my nose as we entered the lobby. Off in the cozy corner of the lobby there is a really cool coffee machine that makes specialty gourmet coffees. I immediately helped myself to a cup of Mexican hot chocolate to open up the senses. I always love when hotels have a good onsite restaurant. It just makes things so much easier when you are traveling to have a place within your hotel to grab a quick bite or drink. Since we arrived into Austin too late to go restaurant hunting, it was nice to check in and just walk directly to dinner. 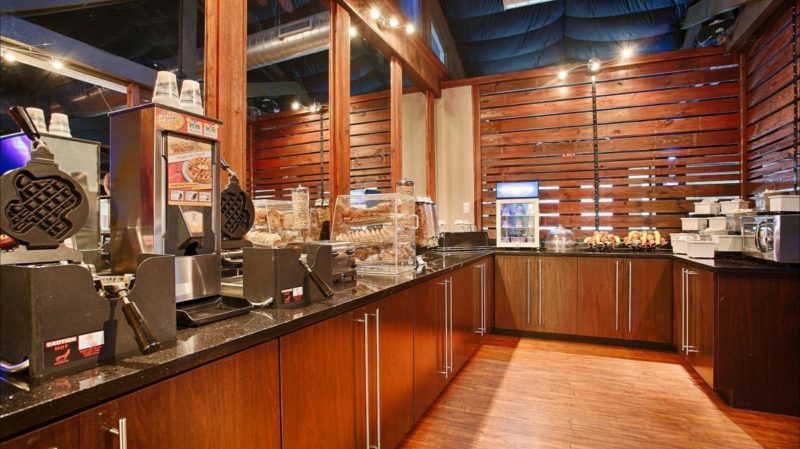 If you are looking from an Austin hotel with great free breakfast, look no further than Best Western Plus Austin City. It a great spot to grab a beer at the bar and some dinner. In addition, was also the site of the Best Western complimentary breakfast. Served buffet style, every morning guests can enjoy a hot deluxe breakfast right here in Opal Divine’s Austin Grill. There was so much variety in options and the fresh food was constantly being provided. No need to drive around hunting for a good breakfast in Austin, all you have to do is wake up. It is one of the few hotels with free breakfast in Austin, TX and I have to honestly say, it was one of the best breakfasts we had on our 60 day road trip. When traveling with kids, it always helps to have a pool at the hotel. It makes for a great way to start out a hot day or to relax after a long one. At the Best Western Plus, the outdoor courtyard garden pool is complete with native Texas plants, relaxing sounds from the waterfall fountain, pool services and fresh towels. Perfect for traveling families, there is a traditional pool for those who like to have a good swim, but there is also a wading pool for the littlest of travelers. For this mama, wading pools are a rare and pleasant find. Of course there is also a hot tub to relax all those sore muscles from all that walking around sightseeing or after a good workout at the hotel gym. Even when I am traveling with my family, I like to squeeze in exercise whenever possible. It helps me have the energy I need to get through a busy day of sightseeing. It also helps me feel less guilty about all the food and drink I will be consuming throughout the day. Luckily, the Best Western Plus Austin City Hotel has an onsite fully-equipped gym open from 8:00 a.m. to 10:00 p.m. Perfect for sneaking in some quick morning cardio or strength training. 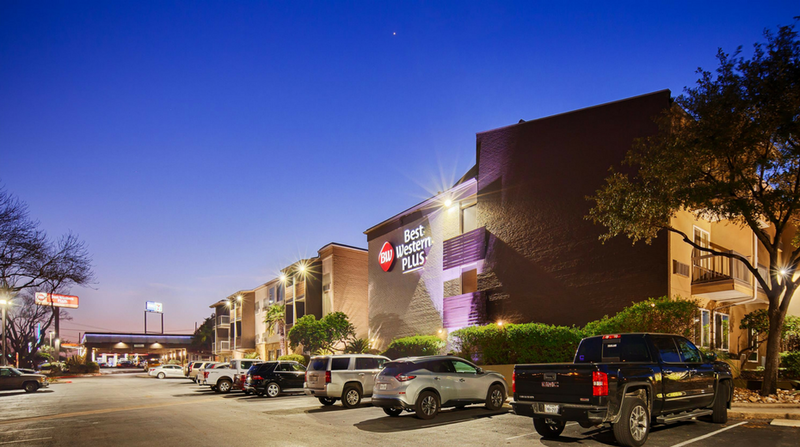 This might sound crazy, but I loved the Best Western Plus Austin City Hotel laundry facility! Hey, we were on a 60 day road trip and maintaining laundry on the road was a necessity. First of all, it is open 24 hours a day, so you don’t have to worry about the time. Secondly, the dryer was so nice and hot. I was able to bust out loads of laundry without taking too much time away from our day in Austin. 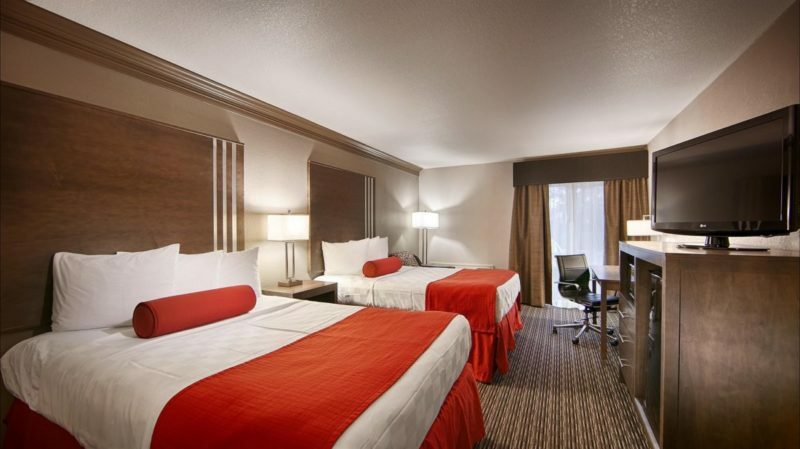 The rooms at the Best Western Plus Austin City Hotel are very nice and comfortable. In addition to the standard comforts of many Austin hotels, like cable television, air-conditioning, hairdryers, ironing boards and irons, and a coffee maker, the rooms also have free high-speed wifi, a microwave and mini refrigerator. When traveling with kids it is so helpful to have a mini-fridge and microwave to store milk or heat-up leftovers. However, what we really loved about our room was that we had a lovely view of downtown Austin cityscape. Although there are many hotels in Austin, TX, we all agreed that we really enjoyed our stay at the Best Western Plus Austin City Hotel. The location was perfect for maximizing our sightseeing. Plus the rates were really competitive, especially for being situated in one of Austin’s best neighborhoods. 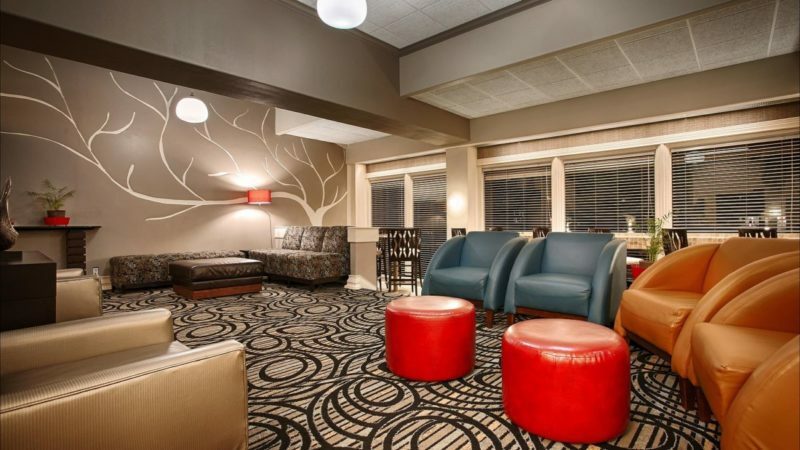 Top that with Best Western’s great reward loyalty program and onsite amenities. We definitely recommend it as one of the best hotels in Austin for families. We definitely plan to stay here the next time we visit Austin. Check rates and availability. Disclaimer: HotMamaTravel is a participant in affiliate advertising programs. By providing convenient links to my affiliates, I earn a little commission at no extra cost to you. All opinions are my own and I only link to companies that I trust. Thank you for supporting my site! So I kind of have a love hate relationship with the IDEA of Austin…maybe cause I am from New Orleans and austin seems like a hipster rip off to me but the more I read about it the more I keep thinking I should give it a shot! I’ve been to both and found them to be very different. I would definitely give it a chance and while you are there, the BWP Austin City Hotel is a great choice. Thanks, Amanda! We are thrilled you enjoyed your stay at Best Western Austin City Hotel. Glad to hear you arrived in time to enjoy Opal Divine’s Austin Grill. Their kitchen is open until 10pm Sunday -Thursday and open until 11pm on Friday & Saturday. They are open later for bar service each night. It is a real treat to have them on-site at the hotel. We would be honored to have you stay with us anytime you are in town. Thank you so much. We had a great time and will definitely stay again the next time we come to Austin! Whilst Best Westerns are unique, they often can be relied upon for a certain standard of service too 🙂 Judging by the look of the rooms, lounge etc, this is definitely a comfortable place to stay. Yes, that’s what I love about Best Westerns. I know what I am getting, yet there is a level of excitement to see all the new properties. The big free breakfast is what I’m talkin’ about 😉 And the lounge area looks pretty nice – wouldn’t have guessed it was a Best Western! Oh yeah, yummy! Best Western Plus are all unique and run by individual proprietors. Great amenities! Not that exercising is a priority for us when traveling, but it’s great to have a gym available. Right, it is good to know it is there if you want it.